After my last post, I think I owe you some uplifting news. 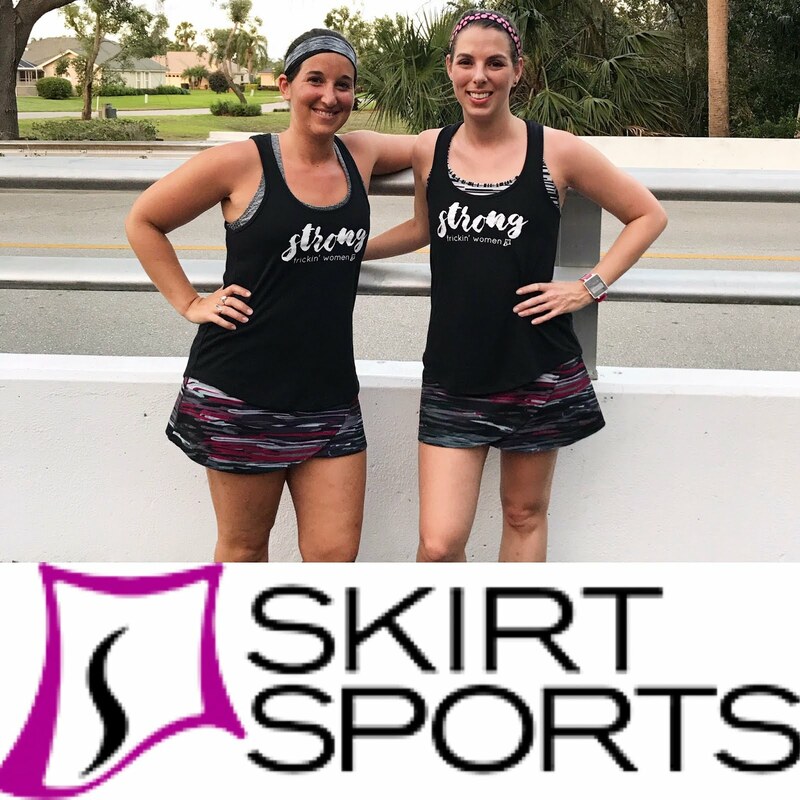 Running has definitely changed me in a million-and-one ways...The most startling may be that I can now sit and watch people running and feel a sense of exuberance instead of boredom. I wonder if non-runners watching races on TV feel how I do when I watch golf. I can hardly watch and not feel my heart swell. I am so honored to be part of this community. 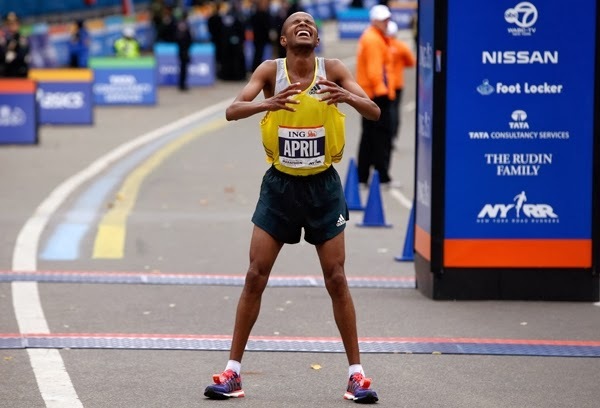 Here are some awesome stories and pictures from the NY Marathon this weekend. Over 50,000 people ran. Each one has a different motivation and story behind their decision to become a runner. I could read these stories all day long. All three photos taken from here. Like the true class-act that he is, Meb describes how he kept himself going even when he felt he'd hit the wall. He and Cassidy crossed the finish line together. The moral here is that even the elite runners have bad days and need to put the time into their training; the second moral is that running is about more than just winning. Click for his interview...seriously so moving and wonderful to watch. As if we needed a reminder of that. Oh, and one more picture from the Runner's World slideshow I just loved. Here's Lusapho April from South Africa after he crossed the finish line in 2:09. I may be a turtle in comparison, but I definitely know this feeling. If that doesn't leave you with a smile on your face, I don't know what will. 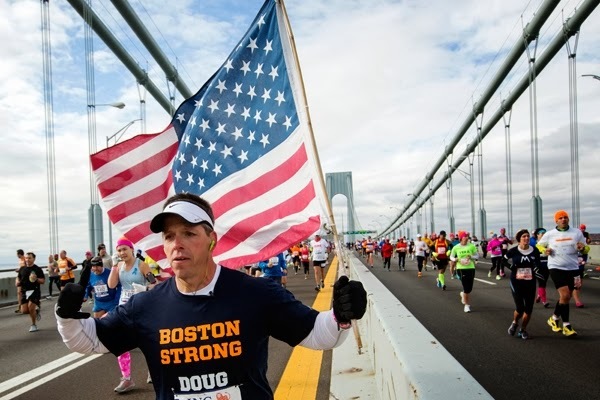 What were your favorite stories to come out of the NY Marathon this week? Have you ever paced someone or helped someone dig deep to get to the finish? What is your favorite part of being a member of this glorious tribe? *For those that are new to my blog, I use the word "tribe" to describe this huge, world-spanning family of runners to which we all belong. It comes from Once A Runner, one of my all-time favorite running novels. If you haven't picked up it, do! There is nothing more emotional than watching the finish line of a Marathon. :) I love Meb too!!! It's leaving me with tears!!! Wow. So many great stories. 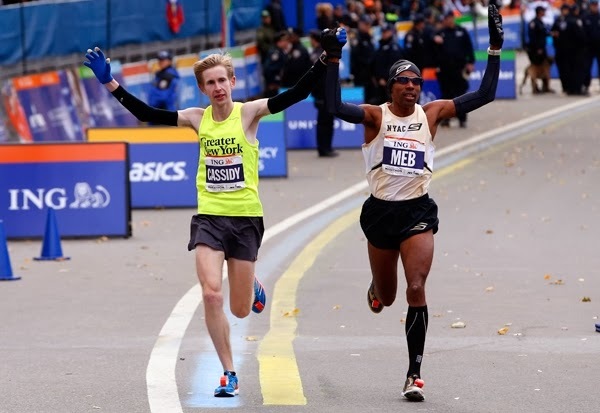 I had heard Meb's and it just makes me love that guy so much more. I also have twin boys so the first story just set the tears into motion. I'm so proud to be a runner! It does so much more for the mind and the spirit then the legs and lungs! This proves it. Thank you for this post. It's a great way to start my day! These stories are all so heartwarming! I love being a part of this community. Being passionate about running and passionate about special education, the first two stories really touched me. Thank you for sharing! 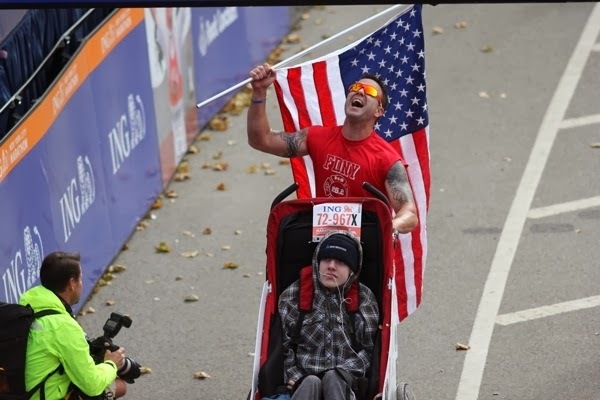 I especially love the stories of people facing physical, mental, or other disabilities and rocking marathons!! So amazing.